As one of the largest industrial suppliers, we’re in a unique position to understand the needs of our customers, and to help businesses improve their processes and make efficiencies. Tata Steel’s UK site in Port Talbot, South Wales employs around 600 electrical engineers who use thousands of MRO products each year. Given the high volume, their procurement team was challenged to find cost-effective alternatives to branded items, while still maintaining the safety and quality standards of those products. 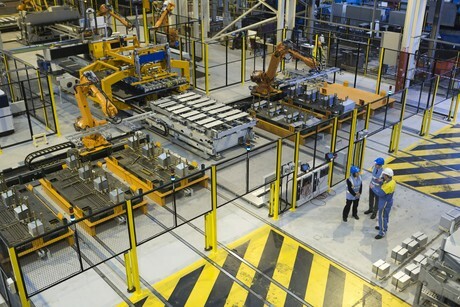 In addition, Tata Steel was keen to achieve more standardisation of its tools across the business. As one of our strategic suppliers, Tata Steel shared its objective of reducing costs with us and asked what we could do to help them achieve this. Using transactional data of products and brands we’ve supplied over the years, we looked for opportunities where an alternative brand could support them. One initiative was to help reduce costs for Engineers’ Test Kits. Working with Tata Steel’s engineering team, we reviewed a selection of products to see which would meet their specifications. It was during this exercise that we introduced Tata Steel’s Head of Engineering to RS PRO, our own label range of tools and products, as a solution to their challenge. Having been impressed by the quality and variety of products in the RS PRO range, Tata Steel worked with us to identify ongoing MRO purchases that could be substituted for RS PRO products. Just one example is a multimeter, which they include in an electrical testing kit provided to all electrical engineers; the branded meter costs $419.90, while the RS PRO version was just $180.20 and met all of Tata Steel’s requirements. Tata Steel has embraced RS PRO and switched a significant number of purchases away from branded items. Despite having to work with new products, the RS PRO tools have proven popular with Tata Steel engineers out in the field. The simplicity of ordering has helped to improve the entire purchasing process, which lets the engineers spend more time keeping the business running efficiently and less on sourcing products and tools. We’re also able to deliver direct to engineers’ desks from the local trade branch in Cardiff, which makes getting hold of the products even more straightforward. During the first 12 months of the switch Tata Steel saved at least $51,000, and we identified a further $22,100 plus of potential savings the business could still make if it switched more items in the future. Tata Steel now has access to a huge range of RS PRO products that have high availability, industry-standard quality and cost significantly less than branded alternatives. These products have been seamlessly integrated into the daily maintenance work stream while maintaining Tata Steel’s high standards.